While Rob moved to North Carolina the WPG's banner is now being carried by Central Florida Cat Herders, a permaculture-ish group of local farmers and other people who are serious about their food. The Cat Herders are more real world than Internet group. Our main ways to keep in touch are workdays (when everybody comes to someone's place and we get a lot of stuff/big project done) and potlucks. We also do movie nights and classes when someone feels like organizing it. Most of our members are in Greater Dade City area but we have some people as far as an hour drive away. If you're interested in learning more/joining email Leon at [email protected]. SOLD! Just leaving here for reference. 1 year old food forest with passively-irrigating swale on contour and overflow pond. Regency F2400 75,000 BTU woodstove with cook top and 2.3 cu. ft. firebox. 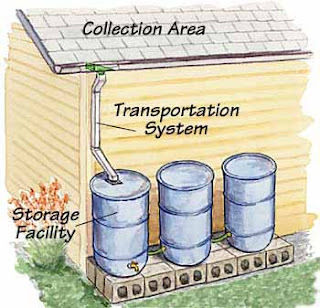 Kitchen greywater system with valve to feed septic tank or irrigate sunken garden bed on contour. Approximately 1000 sq. ft. of raised garden beds with numerous perennials and self-seeding annuals. Drip irrigation installed in approximately half the beds. Thanks to Leon and Nataly from Alexandra Lake Farm, who I met through this website (yea! ), for leading me to Wendel's Farm and Nursery. I was surprised to find a developed and active permaculture homestead right here in central Florida, tucked away north of us in Sumter county. Wendel's very knowledge, friendly, and humble--a rare combination. He also has some very affordable useful plants, fruit trees, and organic fertizer. His brilliant wife designed their passive solar house. Definitely recommend the trip there to check it out. Christina took some good pics of the place and put them up on her blog. Saturday May 28 at 5pm, Christina and I are hosting a potluck at our place in east Dade City. Please RSVP at http://www.wcpermaculture.org/contact with what you are bringing and how many people are coming with. I will respond with directions. Also feel free to bring any extra seeds you have. We will have pigeon pea, calendula, seminole pumpkin, cowpeas and coriander seeds for the taking. Getting the timing down of when to plant what is a crucial part of growing food that new gardeners often struggle with. 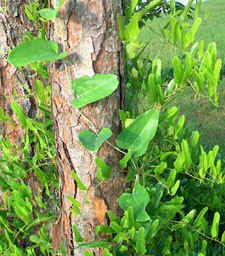 This is further complicated by our unique seasons in Florida, which differ from the traditional temperate climates usually mentioned in gardening literature. However, if timed right in addition to building good soil, we can be blessed with year round harvests from annual crops in Florida, especially if incorporating tropical annuals during our sweltering summer season. Hungry? Just take a walk outside. Nature is a grocery store! It's actually better because it's free and foraging requires no energy inputs (except for the minimal energy expending walking around and preparing the food). I have identified around 30 edible plants within a 20 minute walk from my house and posted pictures, parts edible, season and habitat. As many gardeners are aware, fungi is extremely import for soil life since it cycles organic matter, makes nutrients available for plants, and helps give soil its crumbly structure (tilth) to bind those nutrients. 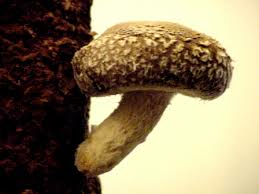 Fungi is an integral part of our ecosystem that we live in and are apart of. While popular culture often focuses on negative interactions with fungi (mushroom poisoning, mold in dwellings, pathogens, etc.) many species of fungi are directly useful to us as food, medicine, dyes, fermentation and bioremediation. I thought it would be a good idea to share what we've been up to at our (Rob & Christina's) place. I'd like to make these updates regular so we can at the very least keep a log of our progression implementing our permaculture design. When we actually went outside and started implementation we ended up changing many aspects of the deisgn. I still need to re-draw the pictures to reflect the changes but this version here is mostly current to what our plan is. Sprouting seeds for food involves germinating them by first soaking them, then putting them in a moist, warm environment for a few days, rinsing them at least twice a day. Over the years, sprouting has been mentioned to us as a beneficial and easy method of increasing the nutrition of cereal and legume seeds. We have wondered about the actual benefit of sprouting. Does it change the nutrient content of seeds significantly? Great companion planting chart for many common fruit & vegetables. Catchment Area – Runoff Calculator/Spreadsheet. Download and adapt this spreadsheet for your site’s average annual rainfall and/or surface material. Use as a dynamic computer spreadsheet or print out a hard copy to use as a quick reference guide for estimating runoff from variously sized catchments. Note that the spreadsheet default is a 90% runoff coefficient, meaning 90% of the rain falling on the catchment will run off. The other 10% will be lost to evaporation, wind, leaks, infiltration into the catchment surface, etc. This is typical for an asphalt or concrete roof or hardscape such as a patio, road, or driveway. You can change the runoff coefficient in Excel for different catchment surfaces if needed. (Metal: 95%; Concrete/Asphalt: 80-95%; Tar Roof: 85%; Sonoran Desert Uplands: 20-70%; Bare Earth: 20-75%; Grass/Lawn: 5-35%; Gravel: use coefficient of material below gravel). I'll be facilitating a group discussion on permaculture at Sweetwater's Community Garden Workshop & Open House on Sept 19 at 11AM [Facebook event]. I'll be talking about our food forest plans and companion planting with mushrooms among other things. Would love to speak with others practicing or interested in permaculture in the area. Let's continue our exploration of permaculture design principles. From sectors in permaculture to permaculture zoning to relative location to the ideas that one element should have multiple functions, and one function should be met by multiple elements - we've already covered a vast array of tools and techniques that permaculturists use to create low input, high output sustainable gardens. The next principle on our list is probably the most familiar to most greenies - energy efficiency. But the permaculture take on energy efficiency goes a little beyond those Compact Fluorescent Bulbs you just screwed in. In landfills studied by researchers, paper makes up the largest item by weight and volume. Most of this is from virgin lumber, trees that have taken sometimes hundreds of years to grow cut down just to be used for a day for print media. Not having trash service out in rural Dade City, we are acutely aware of how much paper in the form of junk mail is sent to us, the far majority of it unsolicited. That and all the unnecessary packaging, like huge cardboard boxes, adds up quick. I've been reading about growing mushrooms and decided to channel this energy and clean out some of the recycling bins we had piling up. Oyster mushrooms are known for their vigor and adaptability, growing on nearly anything that has cellulose. A perfect match! We soon hope to host some events, like workshops on digging swales, creating garden beds, composting, etc. In the meantime, we'd love to start a local permaculture reading group to discuss issues both general and specific to practicing permaculture in Florida. Please contact us if interested. I am currently working on a database that contains locally useful, multi-functional plants. You can either browse it or view all the plants. This is the home of the Withlacoochee Permaculture Guild based in Dade City, Florida. We'd like to join with others in the area planting the seeds of permaculture--hosting workshops, demonstrating how to live sustainability, and launching projects in the community.